Most of the designer today used Adobe Photoshop, Illustrator or other applications to create a good artwork design. Some uses 3D software to create a 3D effects in their design. And i know that to create surreal 3D artworks it needs time to finish and to render to see the outcome. 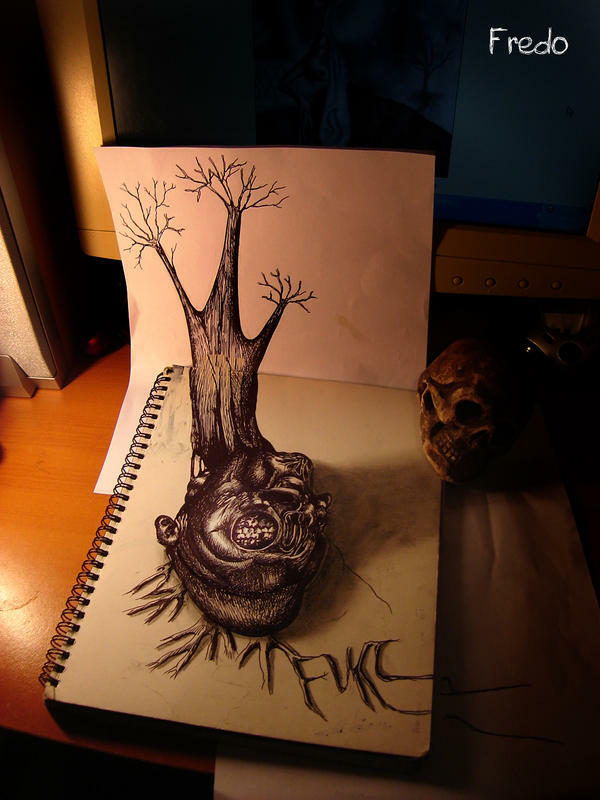 But while i’m browsing internet i found a man who’s named Fredo, he is a very good artist who can draw a surreal 3D artworks using his Pencil.Yeah! that’s true using a pencil drawing. Achieving this kind of artwork needs a lot of time, patience and passion.